Date Night in Las Vegas's Blog | It's date night with Vegas hot spots and Performers! It's date night with Vegas hot spots and Performers! As readers of this blog over the last 4 years know I am a committed community activist concerned about the issues that impact our families. When I first started writing this blog our families were struggling through the great recession, and many continue to make a slow recovery. I have researched the issues and done my best to encourage us all to enter public comment when possible on the issues. Over the years I found that education in Nevada had become a game of “GOTCHA” politics where even those of us watching it closely were surprised by the changes made to our education system so swiftly. Unfortunately we always have had money for programs to serve corporations in their goal to make money off of our kids rather than actually listen to parents, students, and experienced classroom teachers about what will actually work for our students. I attended hearings on education reform disappointed to see that these meetings were filled with special interest lobbyists at times when classroom teachers and parents busy working their jobs and raising their families never could make it to participate. The methods online to share your input are convoluted and not user friendly. Nor were lawmakers actively seeking those who would take exception to these new policies to have their voices heard. Few if any keep a blog or manage a website dedicated to constituent outreach to keep concerned citizens in the loop on important legislation that will later affect the lives of citizens. Then I followed the money. I was disappointed to see that the same group of lobbyists have paid off both political parties to push through this agenda. I got mad. First I tried to find a candidate to run for office. Few people want to speak truth to power no matter how committed they are to the principle because it is tremendously time consuming and for an inexperienced candidate it is both an expensive and daunting task. Given my experience operating grassroots campaigns and social media I had no other choice than to look in the mirror. Don’t for a second pass off my candidacy as a politically naive homemaker doing this as a hobby. I have political experience and knew what this race would entail – and I did it anyway. Yes, my opponent is a prolific fundraiser and will outspend my campaign on nasty photoshopped pictures of me. He will pull out some vague half truth and try to run with it. That’s politics. What I can offer is that I will be an active force in the community my opponent had his opportunity to be his one session in office and passed on it. Please feel free to contact me with any questions or concerns about my campaign. I am not a single issue candidate. Education however was the final draw that made me file for this election cycle. I am well versed on all of the legislative issues which is why I have held my own and earned the endorsement of several community organizations. What I will do different is to fully engage the community as I have done on every cause I have worked on. I know that parents have the right to speak up and I will bring forward hearings in our own district to make this happen. Our district is impacted by many issues that have outreach events done by legislators on the other side of town – but never in our district. That has to change. If you are big enough to do it – Be big enough to own it. 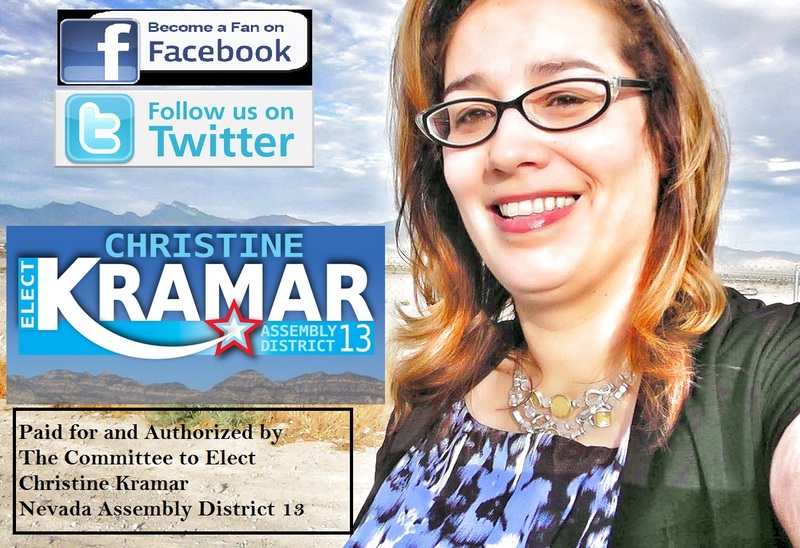 I will own my position as your next Assemblywoman with job number one to be a voice for our families. The economy is coming back and its important that our views be at the table to ensure the budget cuts to essential services are restored before corporate special interests get new tax breaks. I am not the candidate hand picked by the political establishment to keep the status quo rolling of finger pointing and kicking the can down the road. I don’t owe any political favors. 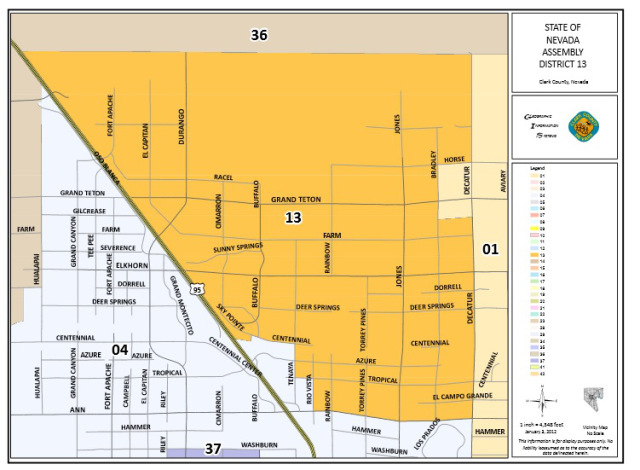 My job will be to represent the people of the assembly district I call home in the far northwest Nevada assembly district 13. Squeezebox Hero is at it Again at Ellis Island Octoberfest! Friend of the show Squeezebox Hero is fresh from his much lauded appearance at Socktoberfest (Las Vegas’ ultimate you gotta know somebody to get into this party because it is too cool for words) he will be landing at Ellis Island for the rest of us to enjoy. Come for the awesome accordion player – stay for the bottomless beer! Are you the type of person who does not want to share your polka player with a crowd? Squeezebox does intimate singing telegrams to full private concerts! Join us for Oktoberfest on Saturday October 20th from 4pm-10pm and enjoy authentic German food and Craft Beers from Ellis Island. You can purchase All You Can Drink and A German Entrée wristband for only $15 at our Promotions Booth before October 20th or $20 day of event. 20oz. beers are for sale for $2 each and entrees are $5 each. Special Oktoberfest beer along with other EI craft beers. Pretzel eating contest, winner receives $100 cash. Das Boot holding contest, winner receives beer for a year. Giveaways, raffles, and contests. Live music from Squeezebox Hero. Oktoberfest Drawings, win up to $1,000 cash. Earn 1 drawing entry for every 300 base points that day. http://squeezeboxhero.com/ PROST! Meet Aisha Tyler at First Friday Oct 5th! We have the honor of actress and comedienne Aisha Tyler http://aishatyler.com/ helping us register voters tonight at First Friday! Come join us for some fun while we help elect Progressive, Pro-Equality candidates including President Barack Obama! INVITE YOUR FRIENDS AND NETWORKS! It is insane that Mayor Carolyn Goodman refuses to sign along with 100+ mayors around the country the Freedom to Marry Pledge. I warned you she was not going to stand for civil rights in our community. Finally many more in our community are starting to notice. Do your part. Sign the petition to tell Mayor Goodman that our community wants the Freedom to Marry. Click here to sign the petition: Mayor Goodman Sign the Freedom to Marry Pledge! Next Tuesday come down to support the first ever It Gets Better Anti Bullying Rally in Las Vegas! Live theatre performance on the devastating consequences of bullying by the Toe Tag Monologues by high school students from Las Vegas. The Las Vegas Valley Book Festival has a great opening event this year for all the zombie fans around town. Author Max Brooks, screenwriter and author of World War Z, and The Zombie Survival Guide: Recorded Attacks is the keynote speaker of the Las Vegas Valley Book Festival. This is quite a public service since I have always believed that Vegas is the perfect location for a zombie apocalypse. Plenty of stumbling drunks it would take a while to realize they are zombies. Check out Max Brooks website for all the details about his Zombie books. Best Cheap Date in Town: FREE Drive in Movie and RocknRoll Show! (direct from Botielus! ): We’re playing in front of the concession stand. It’s just like a scene out of “American Graffiti”! Last year they had a mini ferris wheel, face painter, other things for kids – and FREE rock-n-roll from us! Casting Call- The Unemployed – A Web Series Based in Vegas! Talk about a scenario so many of us can relate to! Check out The Unemployed – a web series based in Las Vegas! Now they are looking for fun local talent in the Las Vegas area to appear in the series. Check it out! See the Facebook announcement too. Description: Oskar, Crystal, and Kent are professionally unemployed. They push the limits of decency while running out the clock on their unemployment benefits. Auditions: If your submission is selected, auditions will be held on 9/4/11. Rate: No pay. Copy, credit, and meal. NON-UNION. [ARIEL] Female, 20s to 30s, any ethnicity. Professional. Receptionist. [CHAD] Male, 30s, any ethnicity. Professional. Was a frat guy. [SHIMMER BLAZE] Female, 30s, any ethnicity. Professional. Investigative news reporter. [CAMERA MAN] Male, 20s to 30s, any ethnicity. Casual. Typical techie. [SECURITY GUARD] Male, 30s, any ethnicity. Out of shape. Overly eager. Never made the police force. [KOBIYASHI] Male, 60s to 70s, Asian. Professional. Must be able to do a Japanese accent. [MARU] Male, 30s, Asian. Professional. Very westernized, no accent. [CINDY] Female, 20s to 30s, any ethnicity. Professional. Mousey, quiet, reserved. [JERK] Male, 20s to 30s, any ethnicity. Handsome. Model. [PHILIP] Male, 20s to 30s, any ethnicity. Slender. Will be wearing a full mascot uniform. [WENDELL] Male, 20s to 30s, any ethnicity. Slender. Will be wearing a full mascot uniform. [WOMAN] Female, 20s to 70s, any ethnicity. Professional, clean cut job seeker. [MAN] Male, 20s to 70s, any ethnicity. Professional, clean cut job seeker. [COMMANDER] Male, 20s to 70s, any ethnicity. Commanding. Voice Only. [EXTRAS] Male and female, 20s to 70s, any ethnicity. Professional, clean cut job seekers. Well not quite a rap – close as these two ever get.